Discussion in 'Visual Arts' started by 5th-beatle, Jun 30, 2018. Vidiot, enro99, Dennis Metz and 1 other person like this. Official trailer. I know you hype up action for trailers, but this seems a little over-the-top. Well it's been a long wait since Unbreakable, but damn... that was worth it!!! I loved the trailer and can't wait for the film. I think Unbreakable is kind of a little masterpiece, almost its own genre: the mystery/thriller/superhero/psychological horror film. Bobby Boogaloo, Kevin In Choconut Center, carrick doone and 2 others like this. This looks totally fantastic. I'm completely psyched to see this. pblmow, alexpop, Encuentro and 2 others like this. He's got a hit formula now. Pt 3? Me too, this is going to be gangbusters good, I just know it... between this and Marty Scorsese's upcoming The Irishman, the start of 2019 is gonna be good for new films... before the CGI deluge begins in earnest for the rest of the year... and I say that as someone looking forward to the new Marvel titles next year (and nothing to do with Brie Larson in tight leather, oh no!). The way things are going these days, don't be surprised if Deadpool shows up in the next one. Just occurred to me The X-Men are looking for a new Wolverine, perhaps a beefed up/CGI James McAvoy( ala Kevin etc..) can morph between Professor Xavier and The Wolverine. Trailer 3 ( only 16 seconds ) .. Too short. Well you know there’s no reason why Marvel and DC have the lock on “superheroes”. Why can’t a writer like Night create new comic characters and isnt that the whole point of the first film?. 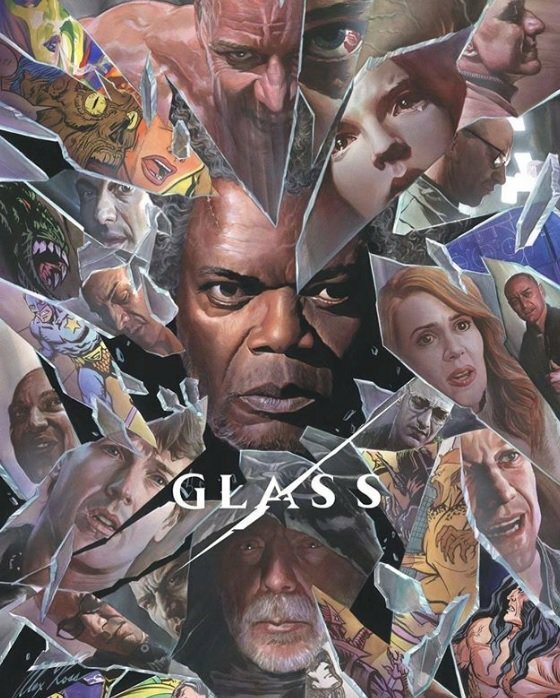 I’m glad it’s called Glass because I think Samuel Jackson was under used in the original. But as Alexpop said franchise is the name of the game. I watched "12 Monkeys" last week. Bruce was really great in it. It's sad just how lazy he's been as an actor for the past 15-20 years, churning out a lot of crap, and playing the same kind of part over and over and over. I hope he's got a good performance left in him. I really want this movie to be good. The tie in at the end of "Split" was a very nice surprise. Franchise " did I say that. Regarding SLJ, Glass aye, his best role outside his Tarantino scripted stuff. Note that The Irishman is roughly 50% CGI, because they had to create 35-year-old versions of Joe Pesci, Robert DeNiro, and Al Pacino for all the flashback scenes. One source tells me that of the $140 million budget for this film, $60 million went for the above-the-line costs (Scorsese and the 3 main actors), then another $50 million is going for VFX. Very good point and duly noted, but what I meant was overtly CGI films like just about every major studio release for the next decade or thereabouts. The extensive use of visual effects work for The Irishman will hopefully be imperceptible onscreen, but it's also probably why it's now 2019 and we haven't seen a frame of footage as yet... I believe the original release date was February; that obviously isn't going to happen now... maybe a world premiere at Cannes in May? Good year for Al Pacino what with The Irishman + Once Upon A Time In Hollywood out about the same time. 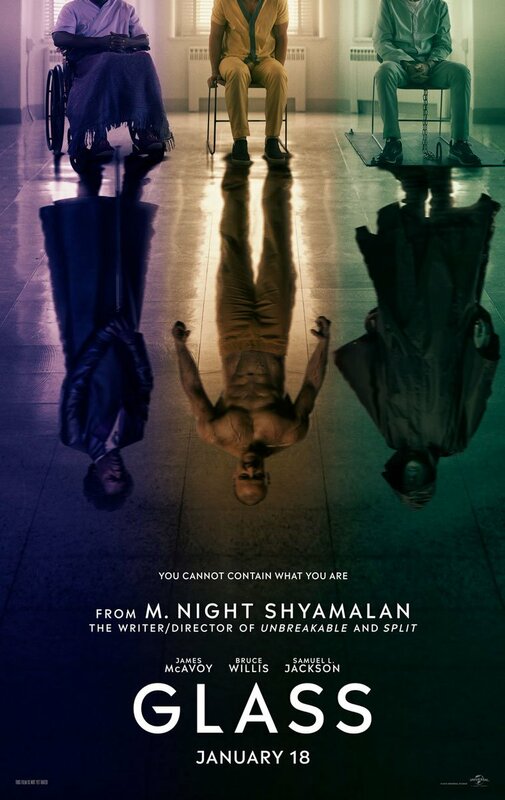 Does one need to see Split before seeing this one?